There are more than 20,000 Starbucks around the world, and almost all of them have a familiar menu — tall, grande, and venti drinks of various flavors and varieties, scones and other stuff like that, and the occasional artisanal cheese plate in a plastic container. While the chain is extremely popular in the sixty-plus nations which have at least one store, there are certainly some who prefer a local, more personal touch. For them, Starbucks is hardly the best option. Of course, the mega-coffee company can certainly afford to lose these types as customers — at $13 billion in revenue, what’s a few coffee sales here and there? And owned and operated by Starbucks, for that matter. The new store hadn’t ousted the coffee behemoth. It was the behemoth. To its credit, Starbucks wasn’t trying to hide this fact — it simply wasn’t trumpeting it. Doing the latter would take away from the test. Starbucks wanted to see if locally-themed (and, therefore, different) unbranded Starbucks could be a viable business. Originally, the plan was to create three of these in the Seattle area, with the long-term intention of creating “Inspired by Starbucks” coffeehouses in cities throughout the country if not the world. One Starbucks exec called these stealth stores “learning environments for us to be creative and push the envelope” outside the barriers of the well-established Starbucks brand. (The company was serious here: one couldn’t even use their Starbucks card at 15th Avenue E.) Some critics didn’t appreciate the stores, though, believing that Starbucks was trying to hide its involvement. Starbucks, of course, denied this; Howard Schultz, the company’s CEO, reportedly claimed that the non-branding (not even the mermaid cups!) 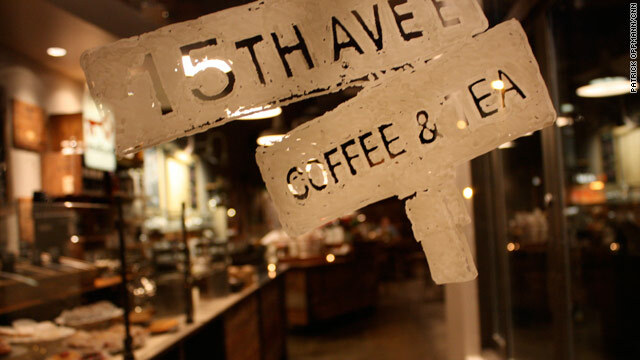 was because of the experimental aspect of the store, specifically pointing out that the 15th Avenue E sold wine and beer. Further, Starbucks claimed (via this New York Times article on the non-branded store), coffee is more local than one would otherwise think: “Coffee drinkers in the Sun Belt, it turns out, prefer cold drinks, while those in the Northeast generally like drip coffee and those in the Pacific Northwest drink more espresso. Yet the executives in charge of regions of the country were divided along time zones and out of touch with what different customers wanted.” By returning to a local-first approach, the company hoped to remedy this flaw. Did the experiment work? That’s hard to say. In the “no” column: 15th Avenue E reverted to a “normal” Starbucks in February of 2011, roughly 18 months after its initial transformation. In the “yes” column: first, the reborn Starbucks at the location still sold wine and beer. And second, in 2012, another unbranded “stealth Starbucks” emerged in the works, this one in the flagship Macy’s in New York City. From the Archives: No Starbucks: Why, until relatively recently, there were no Starbucks in Finland or Norway. Related: “Onward: How Starbucks Fought for Its Life without Losing Its Soul” by Starbucks CEO Howard Schultz (with Joanne Gordon). 3.9 stars on 153 reviews.